We are loving that so many of you are enjoying our Super Sprint Series of events. Good to have some "long time no see" faces turn up on Sunday as well as some "first time ever" starters. A big thank you to Billy Lynch and Stef Puszka (our co RDs), Dee Walsh (who stepped in at last minute to do post race refreshments), and to all our other volunteers for their efforts on the day. We sincerely appreciate the contribution of all our volunteers. Billy posted afterwards: " Thanks to everyone that helped out with organising Super Sprint #2! As co-RD with Stef I was able to see first hand just how generous the members of this club are to volunteer their time for the benefit of others and for another successful Sunday morning of triathlon. Keep it up!" Billy's experience is the norm, so please don't be shy about putting up your hand to volunteer as RD, and feel free to pair up for the task if you wish. 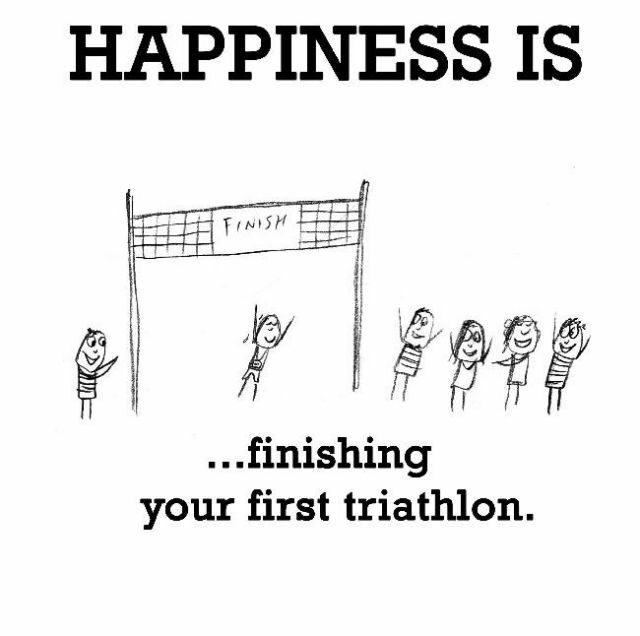 Our tri gear order is closing 8pm this evening. 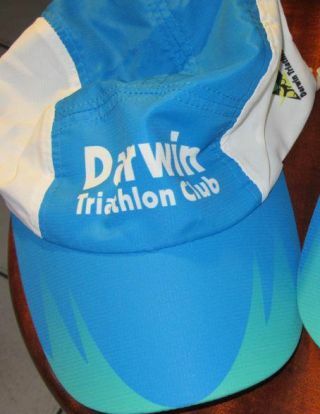 We are offering you the chance to purchase tri suits, tri shorts, tri pants, club tees & caps at cost as a member benefit. Sorry we order little, if any, extra stock so we encourage you to take advantage of this offer now. Date of next order - probably this time next year, so don't miss out! All your questions about our designs, sizes, prices, etc and how to order can be found here. 1. If you haven't already read the fantastic article from the NT News on our members competing at Ironman World Championships next month (Jac Crofton, Hannah Johnston, Corinne Fabian) you can check it out here. 2. Jac is already on her way to Kona & Corinne & Hannah take off for the Big Island shortly. 3. Our members get up to all sorts of interesting things. As well as running half marathons in Italy Anthony Beven has completed his first climbing experience (ropes, boots, helmets & photos from great heights) there as well. Scariest thing he has ever done so becoming a professional mountain climber is definitely out for him! 4. Hearing Clare Labowitch & Paulette Aislabe did the Yurrebilla Ultra 56km at the weekend (results not yet available). 6. Ironman Asia Pacific started some hearts fluttering when they announced on social media that there would be 75 extra slots for Ironman Melbourne in 2016. Many (myself included) asked for clarification which was slow to appear. Finally we got "Apologies folks, it should say 'exclusive' slots to Kona, not extra. As a Championship event, more slots are allocated to this event. To clarify, there is a total of 75 slots to Kona for 2016." 7. Hope no one entered IM Melb thinking there would be 150 slots next year. Moral: If it sounds too good to be true, read the fine print or at least ask the question! 8. NT is set to become a mountain bike mecca. 10. 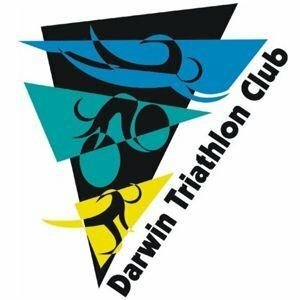 Some of our juniors are involved in Triathlon NT's junior development camp currently underway in Darwin. 12. Reminder: Club tri gear orders by 8pm this evening please. Normally like to finish on a high note but it got a bit bunched up out on the bike course at times on Sunday and we need to draw it to your attention. We understand that when the lights come into play it can take a little time to sort things out to be in a non drafting situation again - you have a generous 15 secs to accomplish this. Of great concern is that some members are failing to keep to the left at all times unless overtaking. 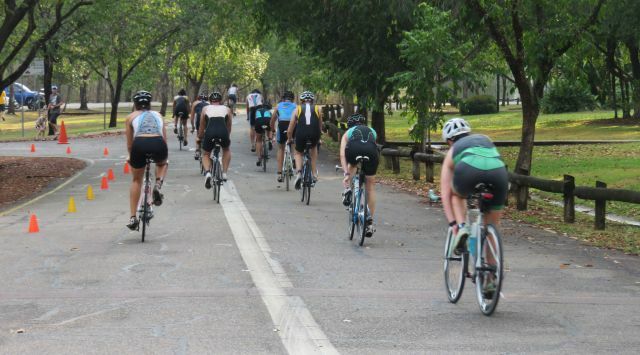 Riding two or three abreast is blocking and stops those coming behind from overtaking and, as well, it hinders normal traffic flow and puts participants at risk. The Race Competion Rules are there for fairness and safety not to spoil your day. We would rather not name, shame or penalize so call on you all to do the right thing by your fellow competitors and the interests of the club. Thank you for your future co-operation.